Please note that when you're on the hunt for a case, make sure it's listed as compatible with the "2019" or "10.5-inch" Air -- that's the new model, whereas old ones have a 9.7-inch display. It should be tough enough for most purposes, but it's not rugged -- in fact your Air is held in place with a special 3M adhesive meant to allow repeated removal without any residue. Owners can however leave their Smart Keyboard connected, which may help. The Dux Plus folio ($69.95) is one of the tougher early entries. It's claimed to surpass U.S. Department of Defense Standard 810F/G durability tests -- that should, in theory, give your Air a fighting chance if you drop it from a low height. 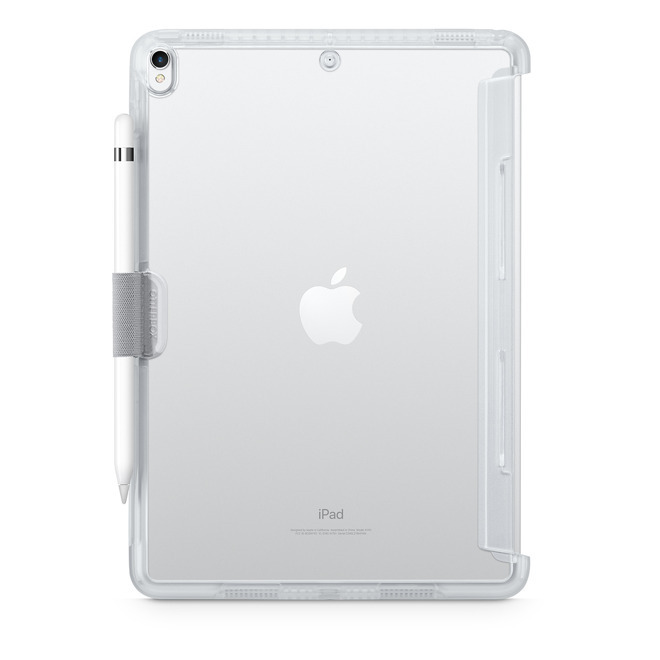 It also has a unique internal storage chamber for the Apple Pencil, unlike most iPad cases. If you absolutely insist on getting a case from Apple, we'll begrudgingly mention the Smart Cover. 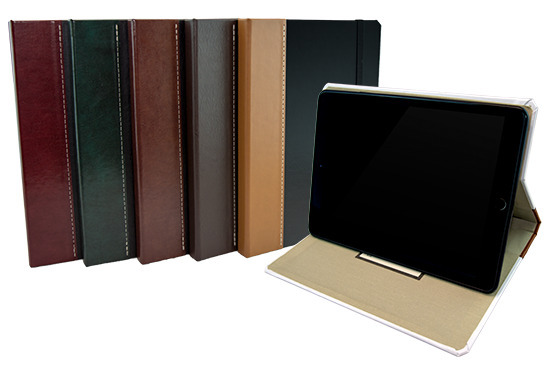 It comes in polyurethane ($49) and leather ($69) editions with several color options -- we particularly like papaya. 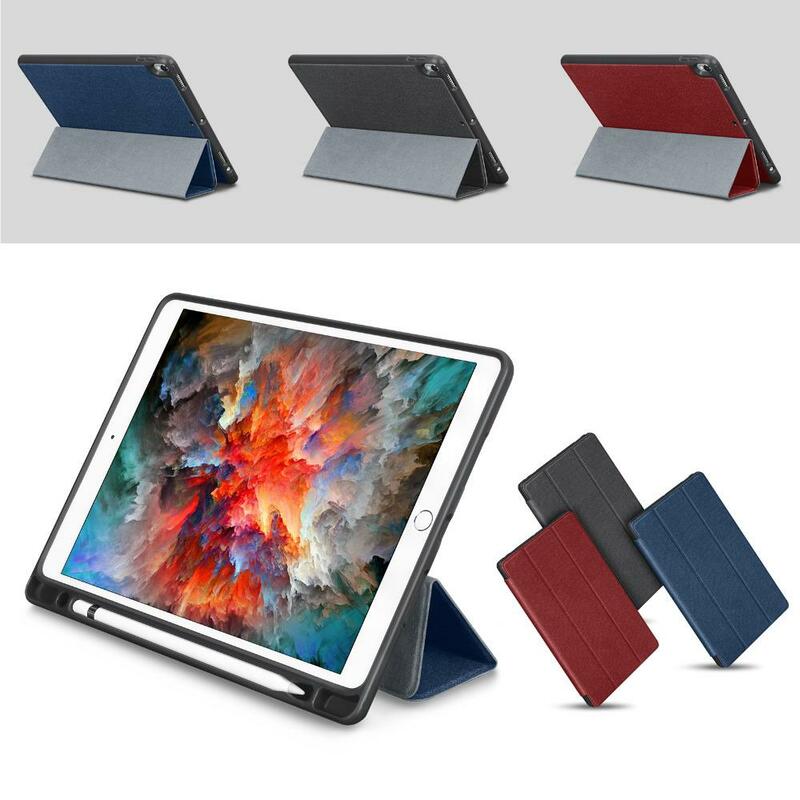 Many iPad Pro 10.5 cases would fit this wouldnt they? 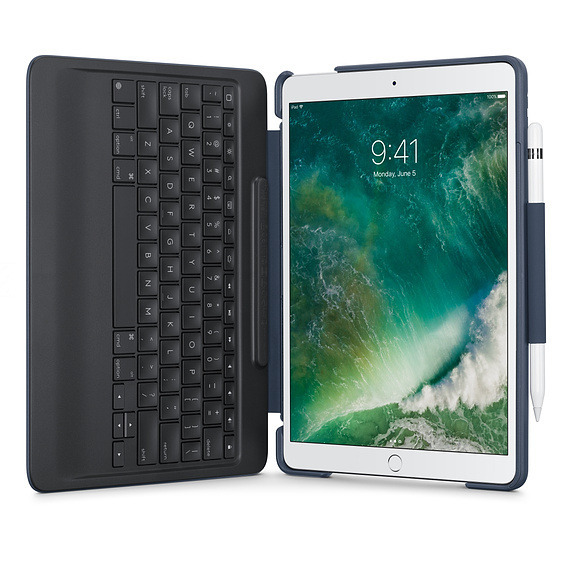 The one I have used for about 18 months is the fintie model (USD$10) which looks like the traditional iPad case with a folding magnetic front, and has an Apple Pencil holder in the spine like the above STM, although more compact (and less protective of course). It is cheap and compact, and on the negative side the plastic around the volume controls can break, and you need to shave a bit of the plastic near the nib of the pencil or it drains the pencil’s battery through contact, but it keeps the pencil, a very expensive accessory, neatly safe and out of the way. Anyway, it is the storage solution for the pencil that is the selling point for me. Maybe also I’m left handed so it is really natural to grab the pencil from there, a rightie would have to reach across the screen. Did the unexpected, strategic headphone jack reappearance of iPad Mini 5 get leveraged to mainstream iPad ? Why do these case makers assume everyone has a pencil? I actually think that is a great solution for an iPad (not an iPhone), as you use an iPad differently. I've dropped my iPhone, for example, but can't recall ever doing so with an iPad. I don't need heavy protection for it. But, I do need a 'stand' to use it effectively, and I've found the cover makes it nicer to hold (when folded around behind it). That said, the current Smart Cover is quite disappointing, at least in comparison to the Smart Cover I had for my iPad 2. They really cheapened up the construction, which has somewhat impacted the functionality (harder to fold, and less hold-strength when it is being a stand, etc.). It works though, just not quite as well and it obviously isn't as luxurious in terms of feel, look, design. Then, for transporting the iPad, a sleeve works quite nicely, even with the Smart Cover on. I just put it in there when I'm out and about, headed to a meeting, or throwing it in my backpack/luggage, etc. I think I'd find a full-fledged case (like some of the above) to be a bit too much on an iPad. Why do you assume that because AI shows a few cases that support a Pencil that the case makers assume everyone has a Pencil? Do you also assume those case makers don't make a case that doesn't hold a Pencil? There have been a lot of comments all over the 'net about not having a place to put the origial Pencil. If you're so concerned about iPad cases that don't support it, maybe a visit to the sites is in order. Thanks, that confirms my suspicions: iPad cases are either: 1) Folio type used mostly for travel or, 2) Big & bulky making the iPad more laptop like. (and plus we still have Apple's cool but non-protective Smart-Cover. 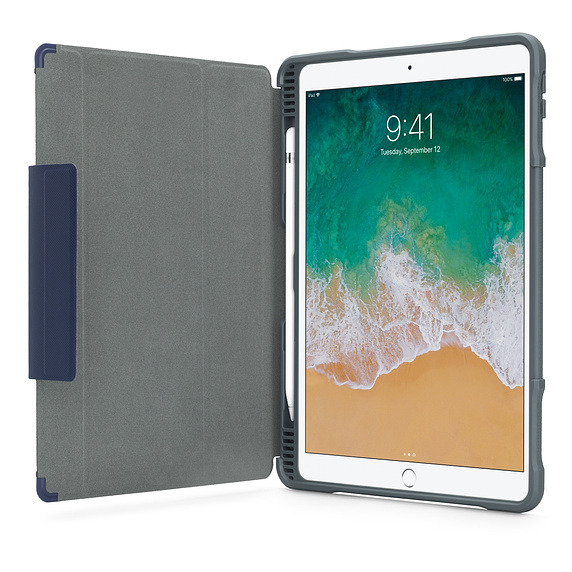 It seems to be that, since (I believe) most falls involve the edge of the iPad coming in sharp contact with a hard surface, that a good case would involve a protective rim around the edge with a thin and light (possibly leather) cover across the back. That kind of case would be protective without adding unnecessary bulk and (in the case of a keyboard) weight. Yeah, and I suppose the 4th type (and caveat to what I posted above), is the very protective case for kid-used iPads. There are some really great ones out there that make it nearly indestructible (and much easier to hold/carry, even with handle), except for the screen itself. Risk assessment can be a big part of choosing a case. 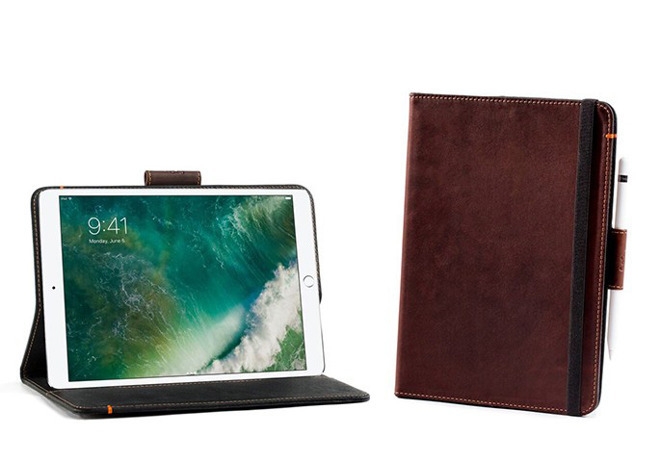 The leather case for the iPad mini 2 was an example of one of the best cases Apple or anybody ever made for the non-klutzy user. 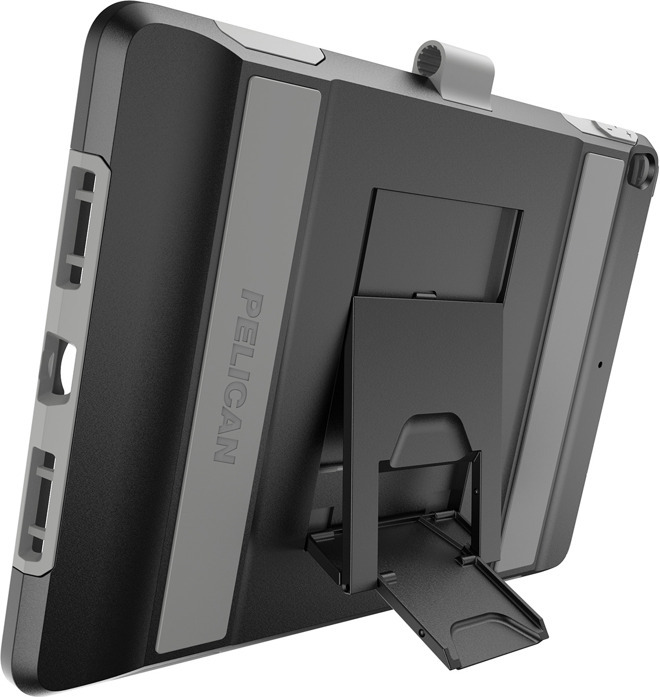 It covers all the corners, back, and front, and is a smart case to boot. It adds minimal bulk and thickness will looking great and giving a decent level of protection. 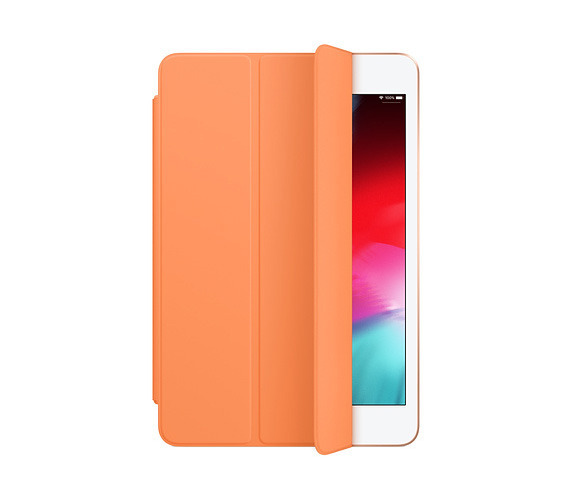 The same case design has probably been available for Apple's other iPads. Third-party manufactures have made cases of varying utility, features, and quality. Most fail for me on at least one of those metrics. But they're generally cheaper. As Apple has had fewer and fewer cases, let alone those that appeal to me, my preference is a smart cover and some cheap silicone case. Relying on my risk assessment, they cover all corners and add little bulk to the iPad. I tend to believe Apple makes one or more very minor changes in dimensions just so a previous model's case won't fit the new models whether or not they make a new case. The more that you know about each iPad model ahead of buying, the better. So, we’ve laid it all out, drilling down and explaining each tablet’s biggest selling points and drawbacks, starting with the most affordable option vivavideomaker.